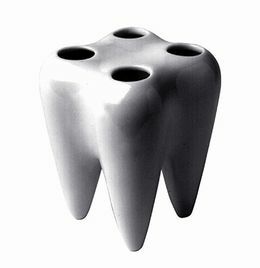 A tooth taken out of context and enlarged to function as a toothbrush holder. Kept by the sink, it is a reminder to put brush to tooth morning and night. 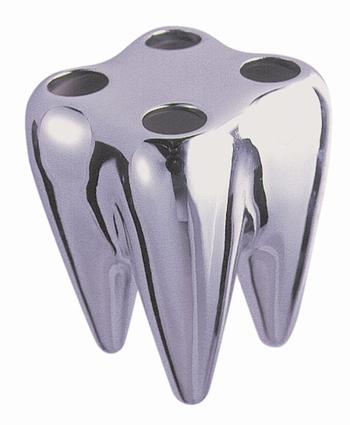 The holder drains and keeps toothbrushes dry by mean of tiny hole situated in the rooth that doubles as a stand.